In 2006 I met an extraordinary man. It was a few months earlier that Nexus magazine had completed a series of three fascinating articles entitled Britain Secret War in Antarctica. I was eagerly discussing them on my various forums when I was contacted through them by a man who desperately wanted to meet me without saying why. Intrigued I agreed and we met up. He then told me that it was not he himself who wanted to meet me, but somebody else that he knew, someone who was not able to contact me directly! I asked why and the man said it was because his contact needed total anonymity… for his safety’s sake. He warned me “Never discuss anything about this on the phone or online!” I felt nervous; I read about clandestine meetings and secret messages all the time, but this was the first time I was actually involved in one. A terrible sense of responsibility filled me; not to mention concern that I was getting in out of my depth. The likes of Dave Starbuck get involved in secret meetings etc, but not me! I was scared to log onto forums or my email in case I accidentally let out any information. But then again, I didn’t know very much and a lot was withheld from me throughout the whole affair, this was obviously for my protection as well as that of others. If I were ever interrogated about this business I wouldn’t be able to tell them much more than I’m revealing now. I agreed and the meeting was set up at Oxford by the “middle man” who’d initially spoken to me. I went to our rendezvous, a small suburban pub and waited. To understand what happened next it is important to acquaint yourself with Antarctica and some of its short but complex history, both official and unofficial. The Earth’s south polar continent is a huge wilderness of freezing icecap and ice-covered sea the size of Europe and the United States combined. Until the late 19th Century it was virtually unknown; even the sea ice that surrounds the continent in a belt 100’s of miles thick was only spotted by Captain Cook in 1774 and the first landing didn’t take place until 1895. In the succeeding two decades much of the continental interior was explored by people like Roald Amundsen, the first man to reach the South Pole, Ernest Shackleton, who became obsessed with Antarctica, and the ill-fated Captain Robert Scott, one of many explorers who made Antarctica his grave. In the early 20th Century many nations set up bases there, carrying out small-scale exploration of the various places around the continent. It is in the 1930’s, after the rise of the Nazis, that official and unofficial history significantly diverges. 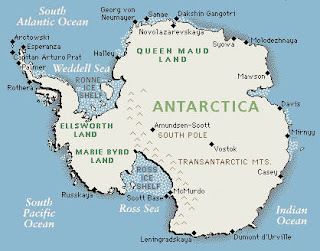 The German Antarctic Expedition of 1938-39 was sent supposedly to set up a whaling station on the eastern coast in an area called New Swabia (On the map, it's around the area of Queen Maud Land). On landing the region was swiftly claimed for Hitler’s Nazi Third Reich. World War II broke out and Germany and the Allies were at loggerheads for control of the seas. As the war drew to a close and defeat loomed, Hitler and the other leaders of the Third Reich, knowing that they were war criminals, must surely have looked into finding a bolt-hole. Official history states that Hitler shot himself in his bunker just before the Soviet troops arrived and his lieutenants and secretaries burned his body; but in actual fact the evidence for this is very thin and contradictory, however that’s a long story that deserves its own article. Did Hitler escape; and if so, where to? Escape was perfectly possible. The SS had many captured Allied aircraft in a hanger at their airbase very close to Berlin; they could have therefore flown Hitler in disguise over the Allied lines to a friendly harbour. Then arrange for a submarine to meet them there and get Hitler out. History says that this would be useless because the Allies had won the Battle of the Atlantic by then and that no U-boat could operate there without being sunk. But again, this is incorrect. It is true that no U-boat could carry out offensive operations in the Atlantic any more because the ships were too well defended, but that doesn’t mean that a submarine trying to get somewhere secretly couldn’t. In truth it could, easily. Locating and sinking a sub which attacks you is one thing, trying to find a sub that doesn’t want to be found is another matter entirely. It’s pretty much impossible in fact. It’s like trying to hunt a particular rabbit by walking along the country lanes of England with a shotgun; what’s more this is an intelligent rabbit that can hear you coming from a great distance and get into its burrow long before you get close enough to be a threat. Germany also had the new Type XXI submarine with a snort mast like a modern sub, so it wouldn’t even need to surface to recharge its battery and air supply, and it seems reasonable that this is the vessel Hitler would have chosen to make his escape. But where could the world’s most wanted man hide? All the Reich’s territories were being invaded and liberated. Where in the world did the Nazis have an outpost that was so remote, so isolated, in such an inaccessible place, that nobody would be able to reach it for many years? One place: New Swabia. Information that has come to light from many sources, including my own contact, reveals that the Nazis had a large military infrastructure in their Antarctic enclave including a harbour, an air base and an underground port for submarines. Some witnesses even claim that the Nazis were constructing their “New Berlin” in Antarctica where they planned to recover their strength and launch a new war in later years. In their hideaway the Nazis would be able to continue their research into esoteric vehicle propulsion and energy sources, as well as black magic and occult powers. The log continues, relating that Byrd was escorted by UFO-like craft called “Flying wheels” to a beautiful city where he was told by a wise and enigmatic individual that he had accidentally flown through the polar orifice into the Inner Earth. He was told that the Lords of the Inner Earth wanted him to deliver a message to the leaders of the Surface World: that nuclear power and weapons were dangerous and must never be used under any circumstances. Whether Byrd delivered his message or not is unknown, but it is odd that Byrd was sectioned in a psychiatric hospital soon after Operation Highjump where he spent most of his remaining life. In 1949, Admiral Forrestal was also declared insane and supposedly committed suicide by jumping out of an upstairs window of a psychiatric ward. Even if there is such a thing as coincidence, could this really be one? I think Operation Highjump’s true mission was very different from what official history tells us it was. I think the taskforce was sent in, together with secret missions from Britain and possibly other former Allied nations for another reason altogether and the official story was smokescreen. Their primary goal was to take out the Nazis in New Swabia and arrest or kill Hitler. Depending on whether Byrd’s supposed secret log is true, or true to whatever significant degree, Highjump could also be a push to reach the city mentioned in the log and conquer or destroy it… Unless Byrd’s secret log was disinformation of some kind, to shadow another secret operation that was really going on; and maybe it was not American. The British part of this secret southern war has also been documented in the Nexus article that set me off on this journey (It can be read online here: http://www.bibliotecapleyades.net/tierra_hueca/esp_tierra_hueca_13.htm ). According to the author, James Roberts, Britain’s own contribution to bring down the Nazi regime in Antarctica is overlooked even by clandestine histories. 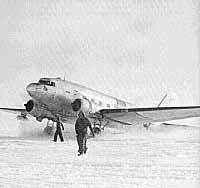 But Britain was militarily active in Antarctica throughout WWII, before the US and Russians. They were motivated not only to destroy the enemy and end the war, but to gain some Nazi high technology that had been so far denied them because the Americans and Soviets had so far captured all the Nazi scientists. The article relates the testimony of a former SAS special forces operative who was redeployed from the post-war troubles in Palestine to the Falkland Islands to undergo training for a secret mission for which he is not pre-briefed. He was flown with a small unit of other commandoes into New Swabia and found the Nazi base. Nearly everyone there had been killed by “polar men”. These seem to be Bigfoot-like creatures which the survivors said are products of a Nazi genetic experiment, although my own contact says otherwise; he claims that they are an indigenous natural species. The commandoes travel down a long tunnel and find a huge artificial cavern which served as a city and base, as well as a U-boat port. They planned to demolish the installation with explosives, but the attack goes wrong and they have to fight their way out. Only three of the ten men survive and they are warned never to talk about what happened. This means that they will receive neither recognition for their endeavours nor any memorial for those that never made it home. The soldier reports that after the war the RAF continued to fly over New Swabia for many years, supposedly to find a place for new British bases, but “one can’t help but wonder”. Does this mean that the Nazi presence in Antarctica remained for many years after the war officially ended? According to my own contact, it most certainly did! The article also mentions the odd behavior of the Nazi submarine fleet in the final months of the war and just afterwards. Boats were captured or surrendered in unusual locations carrying unusual cargoes, and sometimes their crews had unusual tales to tell. One boat was caught near Singapore trying to transit the Straits of Malacca. It was loaded up with a cargo of mercury. One wonders what the mercury was for until you read the strange stories that the Nazis had built a mercury-powered aircraft! Also, how much did Rudolf Hess know about Antarctica? Hess surrendered himself to the British in 1941 after flying solo to the coast of Scotland demanding a parley with his friend the Duke of Hamilton; the two men had been exchanging letters for some time and Hess wanted to meet him face-to-face. His demand was rejected and Hess was imprisoned for the rest of his life. He died in 1987. During his long incarceration he was debriefed and interrogated thoroughly by British Intelligence and the minutes of that interrogation are all still Top Secret and are likely to remain so indefinitely. What did he tell people about New Swabia? What secrets did the Nazis who committed suicide (or escaped!) take with them to their graves? Other Nazis too were captured and had their brains picked. 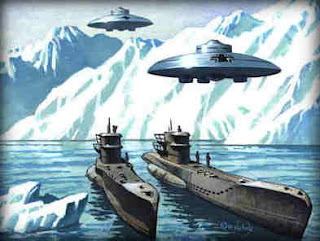 It’s very unlikely that Britain didn’t learn an awful lot about the Nazi presence in Antarctica, probably in time to use the intelligence in their secret Antarctic campaign. Admiral Karl Donitz might be the key figure because he was both commander-in-chief of the submarine fleet and Hitler’s successor to the remainder of the Third Reich, giving him complete authority; the perfect combination to realize the escape plan. After his trial at Nuremburg, Donitz got off surprisingly lightly: a mere ten years in jail! The official story is that Nimitz stood up for him because the Americans borrowed his “Wolfpack” submarine tactics to defeat Japan in the Pacific, but this doesn’t make sense; Donitz didn’t give the US Navy the plans of his own free will! There had to be more. Did Donitz do a deal with his prosecutors? Information in exchange for leniency? After the war the intrigue continued right up until 1961 when the Antarctic Treaty was signed; this turned the continent into the word’s largest nature reserve and an enormous no-man’s land. Before then there are stories of further skirmishes between the rival Cold War powers on the continent. Hideous rumours are circulating about nuclear weapons testing there and even deadly biological agents. But did it even still go on in the post-treaty years? The article shows a picture of something nicknamed “Black Ray” because of its appearance, a black line across the sky? I hoped my contact would be able to enlighten me on these questions, and on some of them he did. He turned up exactly on time, 7PM. He told me to call him “Jack”, but that this was not his real name; he wouldn’t give me any personal details about himself. He had a younger woman with him, in her forties or fifties. This might have been a daughter, friend or young partner; I don’t know because he never introduced us. She left the pub soon after they arrived and I never saw her again until she came back just when Jack was ready to leave at 10PM. Jack looks about the right age to have been a young man in the 1940’s. He said he joined an infantry regiment and took part in the invasion of Europe in 1945 and served in Germany after the end of the war. He had always been non-commissioned, (And, in a pang of prejudice, I thought he didn’t seem “posh” enough to have been an officer) but he wouldn’t tell me the name of his outfit or what ranks he had been. He was dressed smartly and was totally “with it”. He was amiable and outgoing as well, but he seemed to be a bit over exuberant, as if he were covering up a feeling of being nervous and insecure. Well, I guess that’s understandable considering what he was doing. He told me bluntly that he was breaking the Official Secrets Act and could spend the rest of his life in jail, at best, if I blew his cover. He also said that he’d received a death threat soon after returning to England from Antarctica. Many other veterans of the Antarctic War have had the same treatment. He’s got children and grandchildren and he’s worried about their safety too. But he said that he desperately needed to tell someone what he knew. He said that he’d lived with this secret for so long that he sometimes questioned whether it had all been a dream. “The world we live in is just a cover-story for so much more! I can’t go on with my life unless I hear myself say these things to somebody who will listen and take them seriously.” I think he was doing it for his own personal peace of mind rather than to get the truth out to the public. Having said all this Jack then changed tack a bit and started talking about completely unrelated things. He drank a couple of pints of bitter and chattered about sport, the weather and other small-talk. In the end I had to prompt him to get back on the subject of our meeting. As if I’d opened floodgates, loads of stuff poured out of him until I was a bit in information overload. Unfortunately he forbade me from taking notes. Sometimes I would ask him a question and he would answer in great detail, but at other times he just smiled and rolled his eyes and didn’t say anything. He did this a couple of times instead of saying “Sorry, I don’t want to talk about that”, a gesture I learned to recognize. I also asked him about Admiral Byrd and what really happened to him. Jack just answered: “He was less crazy than the doctors who committed him.” and that was the end of that subject. He also told me about Antarctica, that he’d taken part in operations to round up renegade Nazis in “places you won’t find on the map”. I asked him what he meant and he said “There’s places in the world that ‘The Man’ doesn’t want us to know about.” Jack also told me about other things besides what took place in Antarctica. He said there was more secret military action in Europe after WWII officially ended. He took part in raids against Nazi safe-houses in Germany where many men were killed and wounded. All this was unreported by the press and he was ordered never to talk about it. After their defeat the staunchest Nazis formed paramilitary guerilla outfits led by several former SS officers and they spread fear and chaos throughout Germany in the immediate post-war period. He described how his unit had assaulted a secret German base on the coast of New Swabia. He states very clearly that this was the season after Operation Highjump, in other words the end of 1947 and early 1948. There were several German centres there, including an enormous civilian installation under construction that was virtually a city; a lot of its architecture was based on pure Nazi symbolism. It was the Holy City Hitler had always wanted to build as the capital of the New Germany. The Nazis had plans to regroup and renew their strength in Antarctica before launching another war a few years after their defeat in Europe. 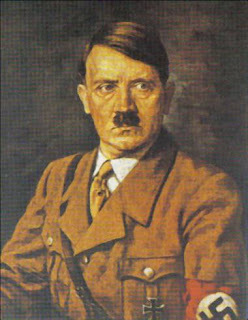 Hitler was in Antarctica at that time, but Jack doesn’t know if he was captured, killed or what became of him. He said that most of these places are still standing and a few are in use by the modern military. He told me that he’d heard how a few years ago some Antarctic explorers had come across a piece of land covered in burned out and abandoned 1940’s tanks, which made him feel very vindicated because it was a confirmation of his own memories. A huge taskforce made up of joint British and American armoured cavalry divisions had assaulted several German strongholds in Antarctica and the resulting tank battle had been as big as the ones in Europe two years before. The explorers concerned had been arrested by the US military and ordered not to tell anyone of what they’d found. He said “If you know where to look you can find the U-boat base we took. It’s a massive complex, completely underground. It’s got a full-size enclosed harbour that you can only access from underwater. It’s entered through an artificial cavern 50 feet below the sea. It’s a half mile wide and 200 feet from top to bottom. The U-boats we found there were not only the standard ones that used to sink ships in the Atlantic, there were lots of the new Type XXI’s and a secret nuclear-powered one too. If Gerry had developed them a couple of years earlier the Battle of the Atlantic would have been lost in days; and with it the whole war!” He estimates that at least 1700 British troops were killed in the Antarctic campaign he knows about and there may have been more he never did. “This wasn’t like other wars. This was a war that never officially took place. We weren’t allowed to even mention it to the other men who served there when we got back to England. The newspapers ignored it, if they even found out. We didn’t know how many casualties another unit had suffered. If you asked them they’d pretend they didn’t know what you were on about. I think some of them didn’t even have to pretend; they actually ended up believing that it had never happened.” From what Jack said, it sounds to me that the various operations in Antarctica were very compartmentalized and that two battles could take place with none of the combatants of one knowing about the other. This was confirmed by him during our second meeting. I saw Jack again a few weeks ago. I was once more contacted by the middle man and I met Jack again; this time at a different Oxford pub, but it was once again a small place in a residential area; a pub I don’t normally visit and so was unlikely to meet anyone I knew. It was nice to see him again and he’s looking healthy. The same lady accompanied him and left us to speak. He told me that he understood if I had a hard time processing his information and didn’t mind if I didn’t believe his every word. He also gave me permission to write about what he said on HPANWO. I had listed a few questions that have arisen since his last interview. Someone on the DarkConspiracy forum (the only place Jack initially permitted me to publish his testimony) asked me how a tank battle could take place in Antarctica. The WWII tanks were not designed for such cold conditions and their diesel fuel would freeze; indeed this happened even in Europe during the Russian campaign. Jack replied that the vehicles were all adapted. The vehicles his own units used were specialized polar transports. The costs of building vehicles and adapting an entire tank division must have been astronomical! I also did something I neglected doing at our first meeting: I asked him what he knew about the special forces operation recounted in the Nexus article. He said he knew nothing about it and this was often the case in the compartmentalized war that was fought in Antarctica. (For a while I actually began to wonder if Jack was the same person as James Roberts’ contact, but I doubt this, seeing as Roberts has confirmed that his own contact had passed away at the time he wrote the article). But Jack told me that Roberts is wrong when he says that all the boys are dead now. Jack knows of at least two other Antarctic soldiers still alive and there are probably many more he’s not aware of. I’ve read Admiral Byrd’s log since 2006 and wanted to know how much of it was true. Jack chuckled and said that it was both true and not true! Byrd had indeed visited a city, but it was not a city of the “Inner Earth”. He doesn’t know for sure, but he suspects that Byrd landed at one of the Nazi bases he saw and met the personnel there, possibly even Hitler himself. He thought that Byrd’s log was probably adapted from a real document, but the transcriber had sexed it up with some of his own flair! But then he shrugged and added: “Anything is possible though. I can’t say for sure that there is no Inner Earth and Crystal City. The Yanks went down there on the make; they weren’t just after Hitler, they were after some kind of valuable materials… and it wasn’t coal!” Unfortunately Jack has never encountered flying saucers, man made or otherwise, but he’s heard rumours from other men; however he seemed reluctant to discuss that bit. I put it to him that maybe Byrd had passed through a stargate or had a telepathic trance. Jack to my surprise took that notion seriously. He was in high spirits; he soon changed the subject to more casual matters and we even had a game of dominoes! He bade me a warm farewell when his ladyfriend returned to take him home. It was good to see Jack again. I hope I’ve helped him come to terms with the experiences from the early years of his long life. He’s taken an interest in all conspiratorial matters throughout his life, but has no desire to be a public whistle-blower. I’m still not sure what to make of his information; it is quite incredible and sounds so much more disturbing when I hear it from him directly rather than from just some web page. I’m now looking for further information to corroborate his story and I’ll let you know if I come across any. To begin with, this interview of Richard Hoagland on C2C is very interesting, if a little dated: http://www.youtube.com/watch?v=XbK8H3wR2PM . He mentions Lake Vostok, the huge body of fresh liquid water under the East Antarctic ice cap. It has probably been sealed for 30 or 40 million years so it’s anyone’s guess what we’ll find down there. It’s 3000 feet deep and has an area the size of Northern Ireland so there’s plenty of room for the cities Richard talks about! I’d heard before listening to this that the new Jet Propulsion Laboratory exploration he mentions has been cancelled. Why? And if the medivac patients are all ill with the same condition, is it from one of the biowarfare weapons tested there during the 60’s? This is more likely than Richard’s scenario in my view. Nevertheless the possibility of that being a cover-story endures. Very interesting - thanks a lot for that - I'm glad to see some more wholesome attention being given to the land of Antarctica - she's been a scientific & military guinea pig for too long. Thanks, WW. Yeah, I hope to God that the stories about nuclear and biowar tests are false! Can you put in some more spaces/paragraphs to make it easier to read? It's hard to read alot of text on screen anyway, don't you find? Thank you, thank you, oh thank you, Mr. Emlyn-Jones, for posting this "Jack of the Antarctic" piece. Don't forget that HP Lovecraft had himself fictionalised an expedition there himself in the confines of a story that he himself had entitled "At The Mountains Of Madness", wherein a group sought & located the remnants of an antediluvian off-world civilisation, with grim results. Ever been here before? Its editor, Dennis G. Crenshaw, and I have been in correspondence for the better part of thirteen years already. Thanks for your warn comments, Anadae. I've heard of Dr Agnew's expedition. Is it still running? It's a bit expensive, other wise I'd be tempted to go along. Sho'nuff, Ben, you've got it (kudos to you) & yes, unbelieveably enough, it IS still up & running, although it had been put on hold, due to the inability to garner the sufficient funding essential for this seeming fantastical sojourn; it embarks in early aught nine! I'm not so sure that I'd wanna be among the "lucky ones" to find my(s)elf back in the concave world of Terra Incognito, considering what you now know about the Third Reich's settlement of New Schwabenland. Are you CERTAIN that you'd wanna go, bro? Hi, anadse. Sorry for the delay in replying. It would be a nice idea, but I would be a biy jumpy. If we actually made it through the hole into the interior, would the govt out here ever let us come back? With photographs and stories, interviews with inner Earth people? I suspect they'd put the icebreaker on the bottom long before we reached Murmansk! The chap is definitely just, and there is no doubt. Order a professional Sparkling White Smiles Custom Teeth Whitening System online and SAVE BIG! Receive 5 Star verified winning bets on MLB, NHL, NBA & NFL + Anti-Vegas Smart Money Signals! Did you know that you can get them AUTOMATICALLY & TOTALLY FREE by using Like 4 Like? Are the Armed Forces a Religion? Say NO! to the NWO!